Why I am lurking on this: Oh, how I love me a girl hell bent on vengeance. I can't wait to get my hands on this. The cover looks awesome, too. And I have to say it kinda gives me the creeps. I sooo want to know what she has in store for him! This looks pretty good 🙂 I've seen it around before and have it on my tbr! Great pick. this does sound really awesome! I love books about seeking revenge so YAY!. 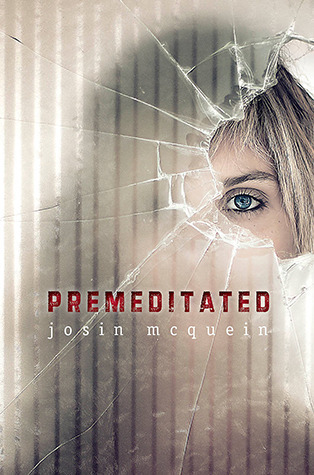 I love the cover to Premeditated... sounds a little intense too. Great choice! This sounds really good! Looking forward to it, thanks for the suggestion. Please check out my WoW! And take a look at our giveaway of Hostage Three by Nick Lake. Great pick. I'm keeping an eye out for this one. The story sounds interesting. I think this is going to be so good. Great pick! Short synopsis but totally effective! It sounds amazing (and I love the cover). I might have to steal this for one of my WoWs sometime haha. Awesome pick, thanks for sharing!